Easy Mexican Yellow Rice with kid friendly option. I've always made yellow rice. Most people call it Mexican rice. Either way its a family favorite. When my son was younger, he did not like that I added chopped red and green peppers. So my Best friend recommended I add corn. I could still sneak in some veggies and get him to eat it. 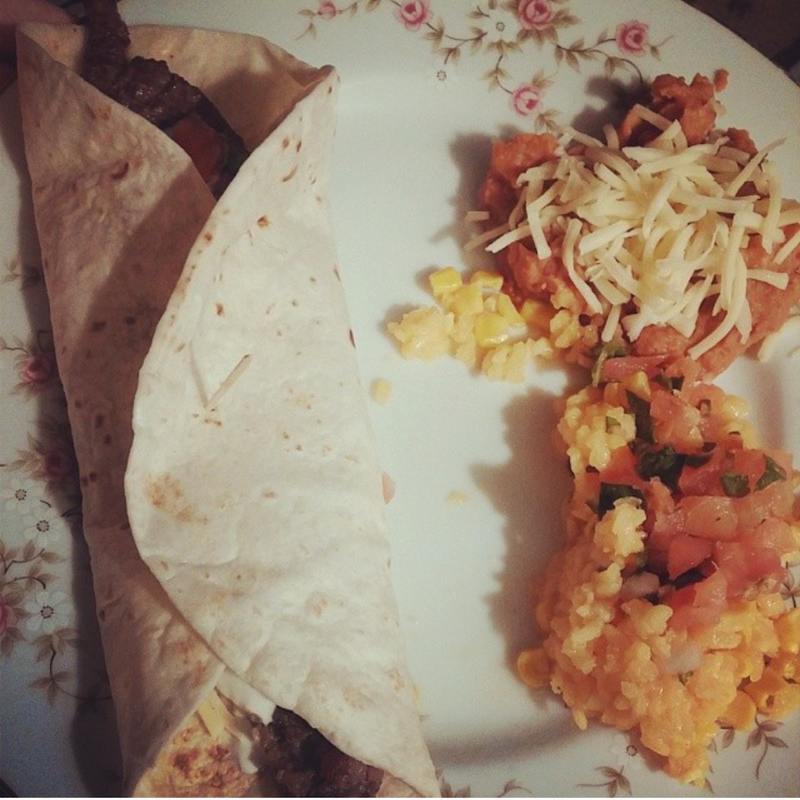 Yellow rice pictured with homemade Pico de Gallo! 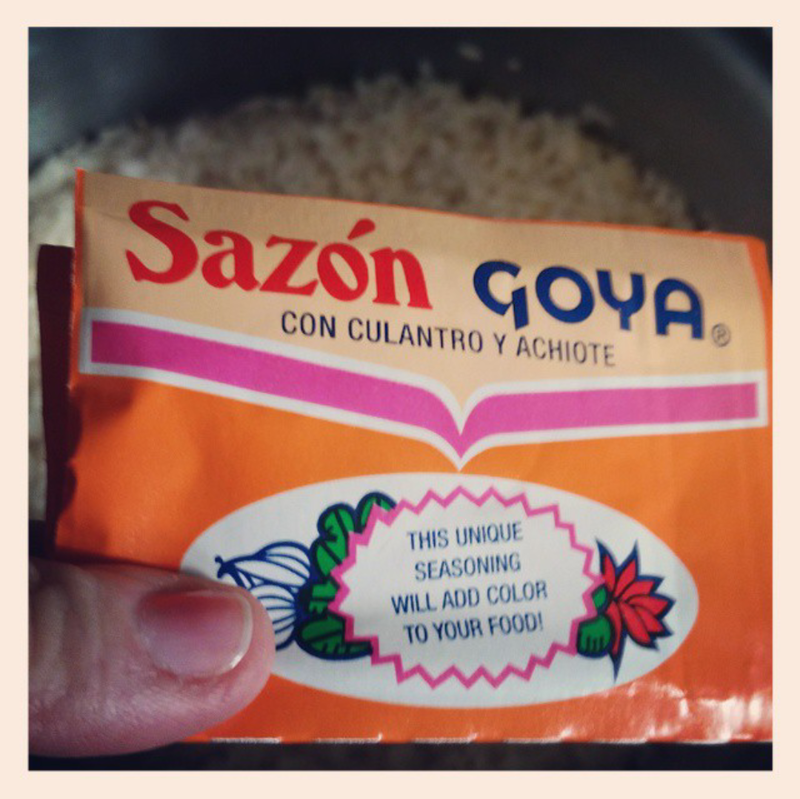 1 packet of Sazon with Coriander and Annatto, I like the Goya brand one. Powder Chicken base- to taste. I usually start with whats recommended for 2 cups of rice and work my way up. Because brands vary so much. I will explain later how I decide. This is the Sazon I use. In a Large pot (at least 2 quart size). Place the butter in pot on medium heat. Once the butter starts to melt add the rice. Stir the rice in the melted butter until it has a slight golden yellow color. Add the water. Be careful the water will bubble up so add it slowly. Stir the mixture and bring to a boil. Once its boiling, stir again, lower the heat to a low setting. Cover and cook for about 30 minutes, stirring occasionally. Check rice. Once its done to your liking mix in corn. Leave on lowest heat for 2 minutes or until the corn is heated up **If you prefer a more traditional rice replace the corn with chopped green and red peppers. I am a coffee addict. I have been drinking coffee for as long as I can remember. 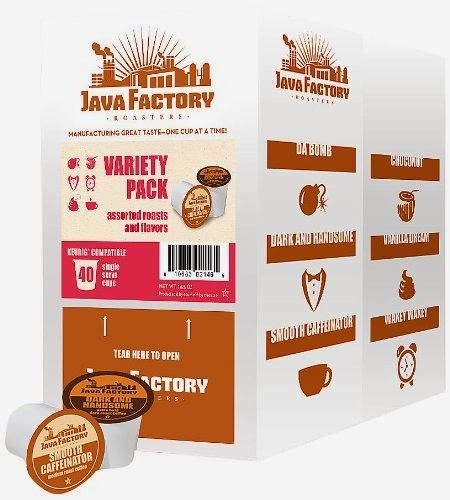 When I was offered to test the Java Factory variety pack and host a giveaway. I was ecstatic. I got to try some great coffee and share it with all of you. Wakey Wakey- This is the lightest roast. I did like it but it was my least favorite. I prefer a darker roast. Smooth Caffeinator- This was the First flavor I tried. 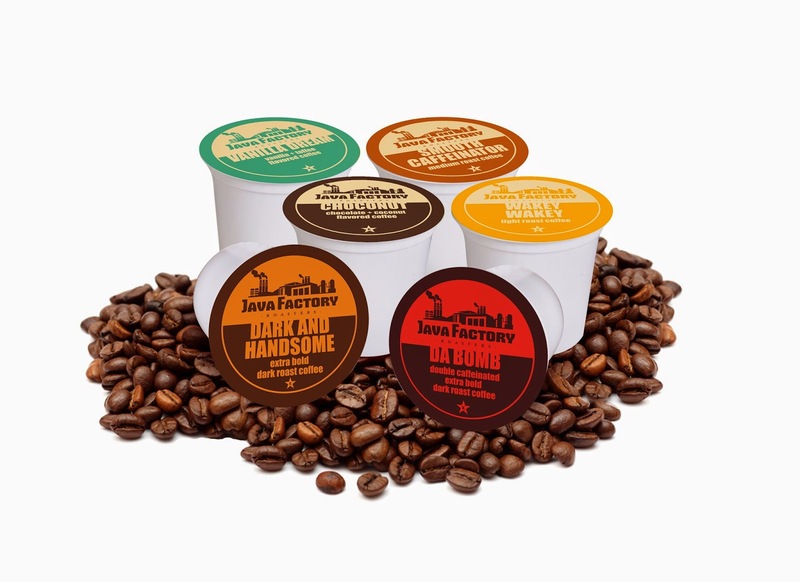 Its a great smooth coffee. This is the perfect anytime coffee. Not too bold but too light either. Hence the name medium. Haha! Dark and Handsome- What girl doesn't want something dark and handsome. This is one of my favorites. It is a bold coffee with that Good morning Kick. Vanilla Dream- If I had to pick this was my favorite this is it. Especially after I added a bit of creamer. This is a great medium roast with vanilla and hints of toffee flavor. Choconut- Personally I dislike mocha or chocolate coffees. But this I liked this one. Because it had a chocolate hint of flavor. Not like some brands that add too much. Also you can taste the coconut flavor without either being overpowering. Da Bomb- I am a coffee addict so I could not wait to try this. This flavor does not disappoint. Its bold and packs a kick. And keeps me up. For the girl who always wants an " Extra Shot" at the coffee shops. This is the perfect cup. I received this complementary product for review. However, the thoughts and opinions are that of my own.